The usual quilting is done by attaching multiple layers of fabrics together, which can transform into a masterpiece with beautiful embroideries. Although now the complicated embroideries can be done with the help of the embroidering machine, the craze for original hand embroidery is still high. Thus, people interested in quilting need to know certain techniques of using the hand embroidery kits that has made the art of quilting much more attractive for many. The functionality of these kits entirely depends on how well you can use the machine and is aware of the craft. § First of all, the fabrics that you plan to use for quilting and embroidery should be washed thoroughly with water at room temperature before the embroideries are done. 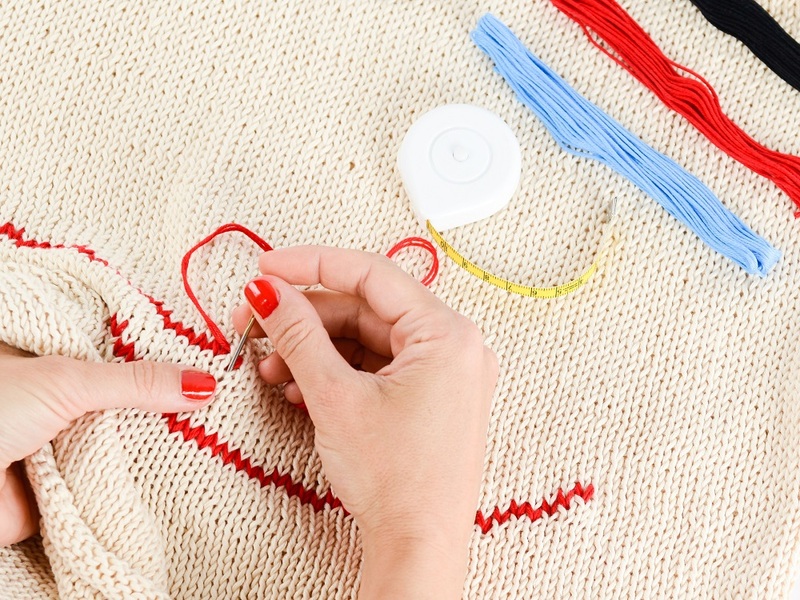 This step is crucial, or the cloth may shrink, and the embroidery may be distorted. However, the use of high-quality fabrics and best hand embroidery kits reduces chances of clothes getting distorted. § The colours of the embroidery thread may fade and damage the look of the quilted product. However, the high-quality hand embroidery kits contain cotton and silk threads whose colour does not fade even after several washes. Moreover, these threads are durable and do not tear off easily. Thus, any stitch or patterns can be done safely on the quilted fabrics with the help of these kits. § Quilting is the process of stitching brightly coloured fabrics together. Mostly running stitches are done using threads of multiple colours over the quilt. The hand embroidery kits have a collection of threads in several unique colours. Thus, extremely colourful and attractive patterns can be created with the help of the running stitches. § The combination of French knots and feather stitch look extremely artistic on quilted fabrics. The doodle-like patterns are created by using multiple embroidery threads of different colours and material. You will have plenty of choices in terms of colour and fabric to choose from the hand embroidery kits. However, you must learn the craft well before attempting the patterns and if you are keen, you can simply follow the free tutorial provided on the CD supplied with every hand embroidery kit. § Different designs of flowers and birds can be created on the quilted fabrics, with the application of stem stitch, back stitch, cross stitch and French knits. Various coloured threads are used according to the chosen designs that match perfectly on the colours of the quilts. All these ideas of designs and stitches can be learned from the tutorials supplied with the hand embroidery kits of branded companies. 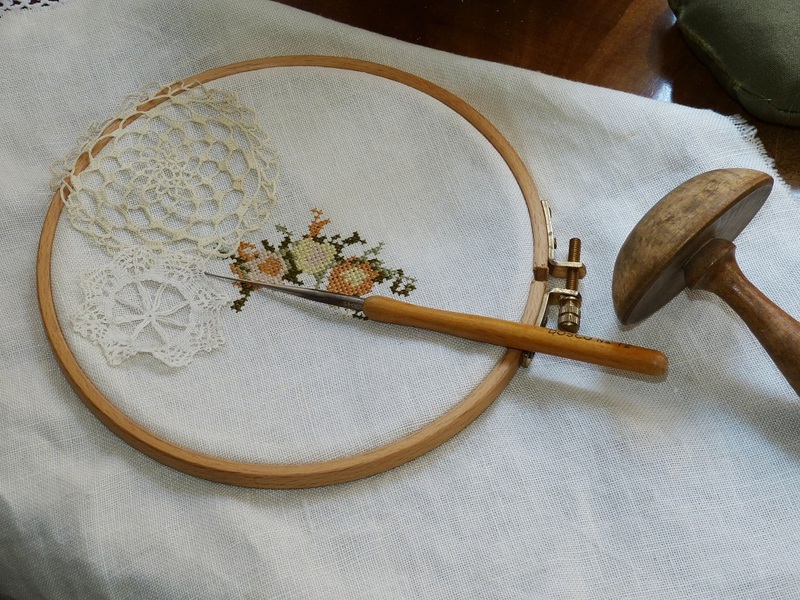 § It is best to use dark shades of embroidery threads for creating designs on light coloured fabrics. Tin this way, not just the pattern is more visible, but also it adds to the overall look of the quilt. However, care should be taken to keep all the knots of the threads neatly on the wrong side of the cloth, while doing the embroideries so that the designs do not look untidy or clumsy. Likewise, the light-coloured threads should be chosen for adorning the dark coloured fabrics, as numerous shades are available in the hand embroidery kits sold in the market. The embroideries should not be done in dim or poor lighting, as that can be strenuous for the eyes. Moreover, with high-power lights, you can create craft the minute embroideries with perfection. It is also easy to choose the right coloured threads under bright light, for creating beautiful embroideries on the quilts. The beginners should start with small and simple patterns made on quilted rugs, pillowcases or handkerchiefs.